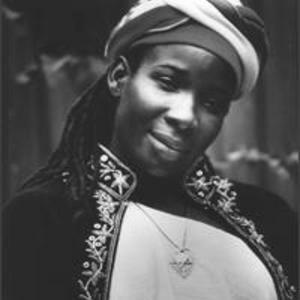 Alpharita Constantia Marley Anderson, better known as Rita Marley (born July 25, 1946 in Santiago de Cuba) is a Jamaican singer. She is the widow of legendary Reggae musician Bob Marley, and a member of the trio the I Threes, Bob Marley's back up singers. She grew up in Jamaica, and was singing with a trio named The Soulettes in the mid sixties recording for Studio One when she met Bob Marley. She married him in 1966, and then became a singer in his backing vocals group, the I Threes. She had three children with him and two outside of the marriage. She grew up in Jamaica, and was singing with a trio named The Soulettes in the mid sixties recording for Studio One when she met Bob Marley. She married him in 1966, and then became a singer in his backing vocals group, the I Threes. She had three children with him and two outside of the marriage. She converted to the Rastafari movement after witnessing Haile Selassie on his visit to Kingston, Jamaica on 21 April 1966. She convinced Bob Marley to convert as well. She wrote many of the songs recorded by Bob while backing him. After Marley's death, she recorded few albums under her name with some success in the United Kingdom. She took care of Marley's estate and mentored her son, Ziggy Marley. In January 2005 it was claimed that she wished Bob Marley's body be reburied in Ethiopia, but she denied that there were any such plans. Rita currently lives in Ghana and spends a lot of time in Florida, and sometimes her home in Jamaica. Some of her family reside in Canada.